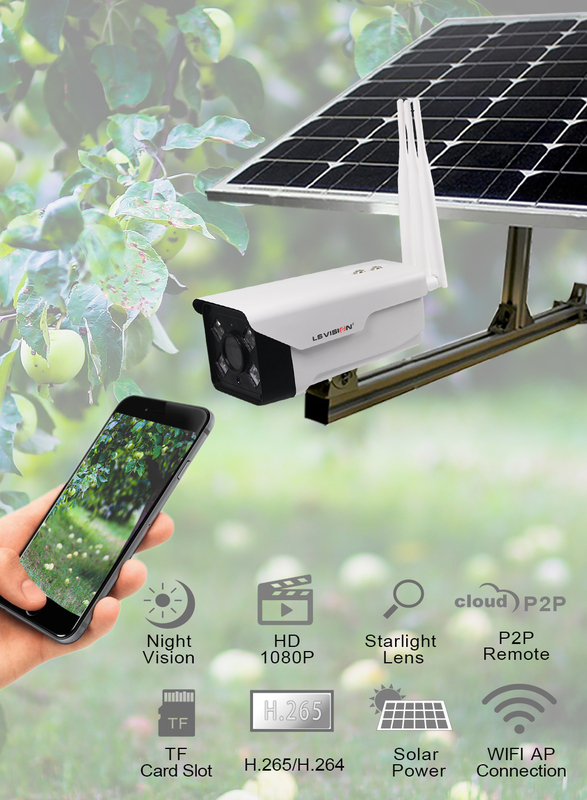 Speaking of the solar security camera installation monitoring problem, now mobile phone remote monitoring has become the standard of the monitoring camera, we all want to use mobile phone real-time monitoring. The installation of surveillance camera is becoming more and more simple, even if it is a monitoring of the small white, just read the instructions, a few steps can be easily installed. Step 1: download and install the surveillance camera relative to the mobile phone APP (each manufacturer's camera APP is different). Step 2: connect to the power of the camera. At this time, the camera will generate a wifi, and the name is usually IPCAM. Step 3: then go back to the phone you just installed the APP on, open the WLAN of the phone, find the wifi of the camera AP hotspot ipcam-xxxxxx, click "connect" and connect to the camera AP hotspot. Step 4: open the installed APP, the main interface, and click add camera; Click on the LAN to search for the UID, and then click on the device you found. Step 5: click the ID of the searched camera and enter the default password admin; Click finish; Go back to the list of software devices and click add device to see the image. Step 6: set the wireless network connection of the camera, click the camera list, enter the camera setting and click the wifi setting. Enter the management wifi network, find your home wifi input password; A check mark on the back of the wireless network indicates that you are connected to the wireless network.